ARSON is the first book in a Young Adult Paranormal series. Book two, ASHES, is also available now. ARSON GABLE FEELS LIKE A FREAK. HE CAN CREATE FIRE. HE NEVER ASKED FOR IT. HE NEVER WANTED IT. BUT HE CAN'T SHUT IT OFF. ASHES is a YA paranormal thrill-ride. Book 2 in the gripping Arson trilogy. MORE THAN THREE MONTHS HAVE PASSED SINCE ARSON AND EMERY WERE SUDDENLY TAKEN. TAKEN AND THEN SEPARATED. AND EXPERIMENTED ON. The minds running Salvation Asylum have abducted them for a dark purpose. A campaign has been set in motion to genetically alter mankind. Unknowingly, Arson has become the most vital instrument in this global scheme, initiated by a select group of brilliant scientists and cunning world leaders. Confused, trapped, and unable to fully manifest his abilities, Arson faces a new existence crawling with questions. Will he ever see Emery again? Is Grandma still alive? Can the fate of the human race really hang in the balance of one choice? 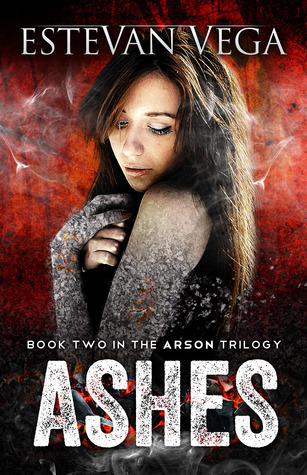 Nightmare and reality collide in Ashes, book two in the gripping ARSON trilogy. Love will be tested. Powers will shift. And the past will invade the here and now as Arson discovers a part of himself he has never before known and fights against his own shocking origins. Will this boy who once tempted fire be able to take on a fearful future? When the struggle intensifies and secrets come to light, will Arson be ready to accept the haunting revelation that there may be others out there, others like him? Excerpt from Book 3 in the Arson series! 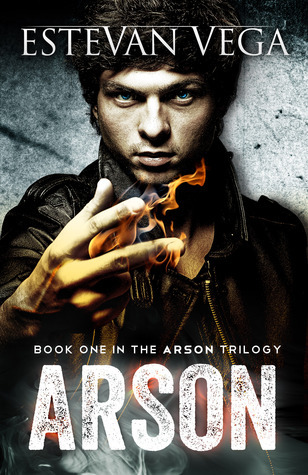 There has been a lot of anticipation for the third book in the Arson series, and that makes me mucho happy. I have been working on it for a while now, perfecting it, making sure that it lives up to the coolness of Ashes. In this except, we get a look into Arson’s mind, his mental landscape. It’s a scary place, make no mistake. Here, the imagination is the limit. Things, ideas, fears, loves, and dark creatures exist in this arena, and all are searching for Arson. He is fragile. He is on the verge of losing his grip. Arson’s mind is trapped, but possibly not for long because Adam, another character with unique abilities, has entered his mind in an effort to set him free. The patterns of his nightmare were a disease. Arson hated the hallways, the rooms—they all had the same ruined look: identical flaking, green-black walls and dead windows. His rage had spawned a reckless trail of flames that wandered beyond and behind their cautious footsteps. Faded lockers had hindered some of his harshest memories from being exposed; nevertheless, he noticed a sequence of metal cages had been pulled open, bent. Rust formed along the lockers’ twisted edges. A leak from the ceiling was now trickling down to corrupt their feeble frames. It didn’t take long at all for things to decay in this place, that much was obvious. Arson’s pulse quickened at the sight of all the torn-open realms. Adam approached each step with a certain fearlessness Arson so desperately wished he possessed. A steady pace that suggested he was looking for something and was close to finding it. But all the silence was driving Arson crazy. He had so many questions, questions about his powers, about sliding, about why he was plagued to live memories that weren’t his. If Adam could enter another’s subconscious, did he too have to endure someone else’s intense past? Did he ever get stuck inside of a nightmare like this? Arson’s eyes opened and shut rapidly, as if his body—or, the body of his mind—knew that doing so was such a waste of time. He took a deep breath. As much as he wanted to know the answers to all of his questions, there was one mystery he needed solved first. It was the one thing that mattered above all. He’d been distraught over it since he got trapped in this distorted reality, since before Adam showed up and made everything even more of a blur. Was Emery still alive? Why hadn’t she broken through? Why hadn’t she crossed into this supernatural existence? Why hadn’t the vision of his escape been real? He’d held her against his chest. He’d felt her skin on his skin. Emery was real, all of it was. Arson knew that he mutilated every last one of the sick fiends who had fed him lies and injected him with poisons. They all turned to ash in a matter of minutes. He’d risen out of his coma already and ended their scheme. In fact, he was there again now, his body unleashing a torrent of wrath, power he barely could control. With one breath, he’d watched a doctor become dust. Just by thinking it, his father’s heart had incinerated. The asylum was laid to waste, and Emery’s beautiful smile was first to welcome him back to the real world. If he entertained this reality long enough, maybe he’d smell her again, feel her hair slide across his knuckles, and even sense his knees quiver as her warm breath tickled his neck. He would never let her go. No reply. Arson just kept walking. Adam studied the fiery shapes blazing around them. Colorful flowers that bloomed into the bodies of creatures only a teenage mind could fathom. Dragons and serpents and spiders blended together. An intoxicating splash of sapphire, crimson, and golden light. Adam spoke like a frustrated teacher. As they walked by another classroom, Arson was instantly reminded of several teachers he hated. Maybe Adam’s voice was theirs. Adam quenched the fire in his palm and continued walking. If I could see your brain, I’m sure I’d be shocked too, Arson thought. “Maybe you would be, maybe not,” Adam said. Arson was anything but comfortable with that answer. The weight of everything was crushing. Arson had just wanted to be a normal teenager with normal problems. He wanted to freak out about which college to attend. He wanted to bicker with his girlfriend about which movie to watch on a Friday night. But he wasn’t that boy. He was a superfreak. He didn’t have the luxury of normalcy. Arson nodded and followed Adam around the corner. A man with sharp ears stood in the shadow, waiting with a knife. Isaac’s fingers choked a blade, some of his fingers daring the harsh edges to take some skin. Slivers of blood snaked down the metal tip and leaked onto the ash floor, where Arson swore Isaac’s body should have been. “I killed him,” he said to Adam. “What’s the plan, fearless leader?” Arson said, his throat shaky with a lack of confidence. “Playtime,” came Isaac’s intense whisper. His arm flinched, and he moved closer. Arson tried to focus on the man’s shape, but every time he did, the image would distort, like a bad television signal. Body features got choppy, his clothes faded out then came back. But the knife, and that sick glow in his father’s eyes, never left. “No need for the threats, son. I’m here to help you, really. To save you. To set you free.” Isaac’s lips peeled back to reveal a horrible smile made of twisted, iron teeth. Black smudges lined the corners of Isaac’s mouth and spots ran up his cheek. He looked infected. “Stay away from us,” Arson ordered, his eyes expanding as new fire spread to the walls. “Don’t buy it, Arson,” Adam said. Isaac licked his teeth then his lips, and his eyes lit with anticipation. He clenched his raw knuckles against the handle of the blade and started running toward them. A wild flame raced out from the wall and cut through the floor, singeing the man’s feet. As the shoes began to melt, Arson heard his father scream. He wished he could capture every blood-curdling cry, and he knew deep down, that if they didn’t get out soon, he would hear the sounds again. Arson didn’t move when Isaac leapt toward him. Adam stood motionless as a bat-like flame swooped down from the ceiling and began to melt the skin around Isaac’s neck. Arson should’ve closed his eyes, but he couldn’t. Isaac’s smile turned a distorted kind of sad as pink material dripped off his cheekbones. His clothing was wilting to ashes, and Arson could see his beating heart, but as he blinked, the screams played a sorrow chorus in his eardrums, like an orchestra ascending to an otherworldly crescendo. And with a blink, Isaac was gone, but a whisper drifted into the air one last time. “I set Grandma free,” it said. “You hesitated,” Adam exhaled deeply, disappointed. “He’s gone. Isn’t that what matters?” Arson replied, the flames cowering back to the walls and corners. “You don’t know that for sure!” Arson shouted. “I killed him,” Adam said defiantly. “Don’t do that again,” Arson ordered. Arson’s eyes wandered from Adam, the boy who looked so much like his childhood friend. A friend who had misled him.